Congratulations on your Engagement! I would love to assist you with your Special Day! First, let me tell you a little about our beautiful mountain area! We are a Family Friendly Venue where you can experience Rustic Elegance from Above the Clouds! Offering a truly, Majestic Alpine Experience. Winter, Spring, Summer or Fall, these Beautiful Scenic Mountains are the Perfect Place to hold your Special Event! Choose your view; inside or out, as Snow Valley offers many areas to select from. We have put together some of the most popular catering menus to make your planning easier, however please feel free to let us know if you want to try something outside the box as we believe our local caterer of many, many years, is not only the best around but he Loves a challenge! The following is an estimate of one of our most popular packages and would depend on the ceremony location, as well as, the time of year or what month your event was booked. ? Up to 6 hrs location rental (depending on your choice of ceremony location) ? Non-alcoholic beverages offered in ceremony area ? Last Run Lounge included for cocktail reception and throughout event ? Professional serving staff for complete set up, service and tear down ? Catering; Bacchus Restaurant Group, Inc. (plated or buffet) ? Customized Wedding Cake with choice of flavors, fillings and design ? Champagne & Sparkling Cider Toast ? Coffee, Iced Tea and Lemonade including condiments ? Complimentary tables; Sweetheart Table, Guest Book, Unity, Cake, etc. ? Elegant Linens and draping for tables with napkins matching accordingly ? Choice of China, Glassware, Flatware rented through Snow Valley ? Professional Wedding Planner ? On-site Coordinator; up to 1 hour rehearsal and 6 hours on wedding day Pricing is based on the number of expected guests and the use of the Snow Valley Express (ski lift) to take guests up to "The Edge" for the ceremony and back down for the reception. 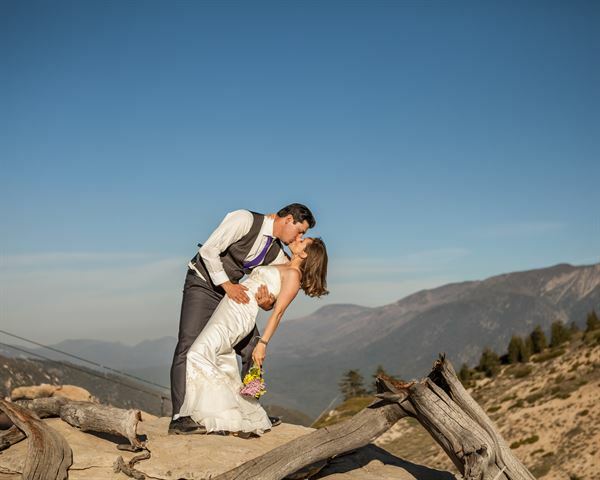 Should you prefer to have your ceremony at the base of the mountain, there would be no need for the lift and therefore pricing would be adjusted accordingly. You will find our pricing comparable to other local venues and the only ski resort in the area with an express lift to accommodate six people at a time. 20-50 Guests (Pine Room) Starting at $2900.00 inclusive total 50 guests: Starting at $9,900.00 inclusive total 75 guests: Starting at $12,600.00 inclusive total 100 guests: Starting at $15,200.00 inclusive total We include our preferred cake baker & caterer in all events, as well as our infamous, Last Run Lounge should a bar be requested. We can also include other vendors, such as a photographer, DJ, photo booth, and more or you are welcome to bring your own. I would love to schedule a complimentary tour and show you around. Please feel free to give me a call at the phone number below or simply reply to this message. Pine Room packages are customized accommodating from 20 to 50 guests. Exact pricing would depend on the type of event, number of guests, package selected or customized package, area of event and time of year. In order to hold your space and consider your event definite, Snow Valley will require a 30% retainer fee at the time of booking. Should you choose to cancel your event, 50% of that retainer is refundable up to 6 months prior to the event date. Certain circumstances or reasons for cancelling an event, such as an act of God, may result in a complete refund, to be determined at the time of the cancellation. Wedding Packages with Ceremony on "The Edge"
The Edge packages are customized accommodating from 50 to 100 guests. Exact pricing would depend on the type of event, number of guests, package selected or customized package, area of event and time of year. Please note that Snow Valley can accommodate up to 500 guests on their patio and deck areas alone. Special Features: Choose your View! Many areas to select from Inside or Out! Alpine Lodge, Deck or Patio, Last Run Lounge, Rustic Pine Room or on the Mountaintop! Customized Wedding Packages & Catering Menus. Family Friendly Venue.